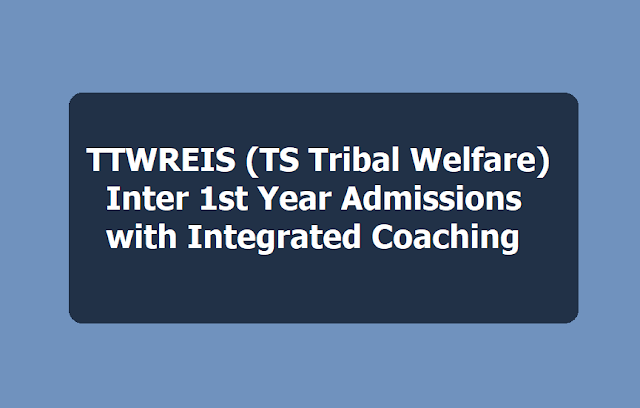 TTWREIS TS GURUKULAM (Telanagana Tribal Welfare Residential Educational Institutions Society) has given a notification for Admission into 1st year intermediate with integrated Coaching for JEE Main/Advanced, NEET UG for the year 2019-2020 for (02) COEs at Hyderabad and Applications are invited from Boys & Girls of Scheduled Tribes of Telangana State for admissions into 1st Year Intermediate in English Medium for MPC & Bi.P.C Groups for the Academic Year 2019-2020 in the following institutions functioning under TS Gurukulam. 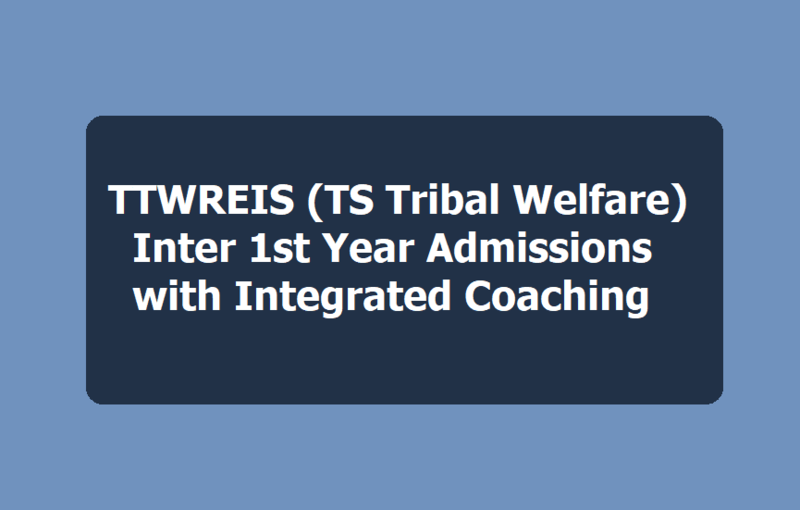 TSTWREIS admissions into 1st Year Intermediate with integrated coaching for JEE Main/Advanced, NEET for the academic year 2019-2020. The Telangana Gurukulam, TTWREI Society, Hyderabad has been running with institutions of Excellence COEs(02) for ST Students to provide necessary academic environment and inputs and also providing specialized coaching to meritorious ST students to enable them to compete successfully in order to get admissions into All India Level Institutes such as IIT, NIT, IIIT, ISER, NISER& Medical Colleges etc by providing free education along with onther amenities like Text books, Note books, Dress Material, Pocket Money, Bedding Material. 1. Regular IPE Syllabus with intensive coaching. 2. Micro Plan for JEE Main/Advanced & EAMCET. 3. Weekly, monthly, cumulative, Mid- I, Mid – II & Grand Tests in IPE, JEE (Mains/Advanced) & NEET. 7. Individual Attention, Guidance & Counseling round the clock. 8. Total free & quality education. 1. All the ST students (Boys & Girls) of Telangana who are appearing for SSC March 2019 in TW Residential Schools, Ashram Schools, Govt. Schools, Zilla Parishad Schools and other Govt. Recognized schools and they should have secured at least B2 grade(7 points) in aggregate and also secure B2 grade in English in SSC Public Examination 2019. Candidate can join the above mentioned colleges directly with your TC.